Forty-six years ago Friday, the Vineyard marked the first Earth Day with a home-grown event. Led by Bob Woodruff, who had a red oxcart built from driftwood and scraps of lumber, a group calling itself Vineyard for Environmental Action staged an Islandwide walk to pick up litter. The Gazette covered the event. “One passer-by asked incredulously if they could possibly be gypsies, strapped as they were with their ox-cart on the grass,” the newspaper wrote. “They were clad in velvet and jerkins and speckled headbands and carried gunnysacks and played kazoos. And they were of all ages — 5 to 55 — many with long, flowing locks. There were about 60 of them, who gathered at Owen Park at 9 a.m. . . . . It was quiet enough at 9 at Owen Park and looked pure enough in the early morning air, so one might have thought all the brouhaha about Earth Day was nonsense and unnecessary — that on the Vineyard at least, unlittered land and clear water and fresh air were cherished. The group had collected nearly two tons of trash. A splinter group collected its own pile of trash and dumped it on the steps of the courthouse to demonstrate the futility of the cause. An era of environmental activism was born. Twenty years later, in 1990, the Vineyard marked the anniversary of Earth Day with a huge fair at the regional high school. More than a thousand people of all ages came to see demonstrations by conservation groups and naturalists. They recycled thousands of cans and bottles to raise money to help save the rain forest in Belize. Cong. Gerry E. Studds was the keynote speaker. Now many of the activists from those early years have grown old, and younger environmentalists are taking their place. Among them are Aquinnah documentary filmmakers Liz Witham and her husband Ken Wentworth, who will mark Earth Day today with the formal launch of their documentary series Sustainable Vineyard, made possible in part by a Vineyard Vision Fellowship. And one Earth Day tradition endures: the annual cleanup of trash and litter. 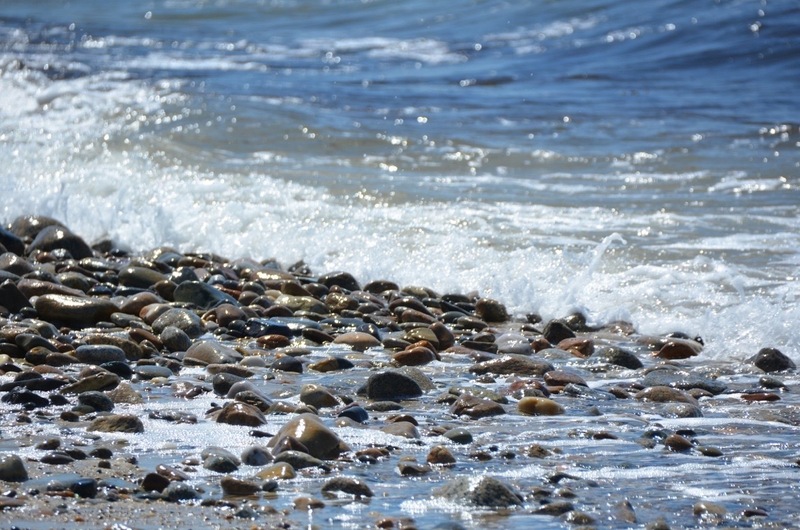 The Vineyard Conservation Society will host its annual beach cleanup day next Saturday, April 30, when volunteers will fan out around the perimeters of the Island to collect literally tons of trash, much of it washed up from the ocean over the winter. It is hard to imagine two generations later that the Environmental Protection Agency did not even exist when the first Earth Day was celebrated. Over the last 46 years, environmentalism has gone mainstream. Today there is far greater public awareness of the fragility of our natural world and many more organized efforts to protect and preserve our planet. But the image of that pile of trash on the courthouse steps still haunts. If our efforts to date to address the growing threats to the environment, both globally and locally, are not futile, we surely face an uphill battle. Earth Day 2016 is a moment for each of us to consider what we are doing now and what more we can do. Plant a tree. Ride a bike. Start composting. Get involved. For more ideas, visit earthday.org. Remembering the early 1960s, so many eons ago, I recall the smell of burning trash in peoples yards. Everyone burned their excess trash then, in used 50 gallon oil drums. The air was full of carcinogens and every sort of toxin. I recall the ancient diesel busses, clogging the streets of Boston, and hub towns, belching black smoke, and soot. The cars, had engines of steal, big enough to power an aircraft carrier, and burned "gallons to the mile" not "miles to the gallon". There were many more fish, crabs, lobsters, herring, etc. One could go out for a few hours, and fill buckets full of fish in no time at all: blues, stripers, cod, "big" lobsters etc. Good luck with that today. At the same time the birds of prey: eagles, hawks, ospreys, herons were nearly completely gone few, because of (DDT). It's like looking back to the middle ages, in terms of our societal understanding of the earths condition. The massive post WWII industrial expansion has continued at breakneck pace around the globe, while people have had their foot firmly pressed on the breaks simultaneously. Literally billions of people are now awakening to the devastation. They've learned that this destruction has huge consequences, for us all, particularly the children, and grandchildren. We have had tremendous shifts in public behavior, public attitude, and political willingness to recognize the need for drastic change. We have had tremendous successes, despite the sometimes overwhelming and depressing news of the current 6th mass extinction of species. It's happening many times faster than the historical rate from our deep past. We are on schedule to exceed the devastation of the Permian extinction when 98% of all species on the planet disappeared. 93% of the Great Barrier Reef is now bleached, and devastated. Despite the bad news, there is some room for hope, as our modeling improves, attitudes change, and conservation has become integral to our future development plans. Across the country eagles have returned, ospreys fish in places not witnessed since the 1920s. Herons are plentiful and rebounding nicely. Our efforts to stop using (CFCs / chloro fluoro carbons) have made tremendous corrections to the once disappearing (ozone layer), that shields us from deadly ultra violate radiation. Huge improvements in bio sciences, computer modeling, space probes that map earth bound human activity, pollution, and a million other things offer us a last chance, last ditch possibility of saving our life support system. let us not become defeatist, and fail to seize the opportunity, because the consequence is utter destruction, which the human race is not likely to survive in the mid term. The baseball coach use to say, "you miss every pitch you don't swing at". let's all come out swinging.